I love using the camera on the iPhone to snap pictures and send them to Evernote. I love the fact that when I send pictures taken on my iPhone to Evernote they are automatically scanned and completely searchable. I hate the fact that the iPhone’s camera take lousy close-ups of text. 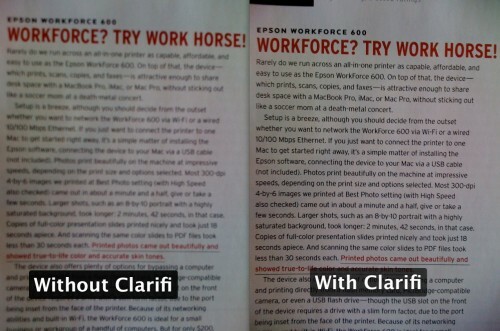 That’s why I was so excited to see that Griffin was releasing the Clarifi, a special case with the built-in lens that boosts the eye phones camera resolution. 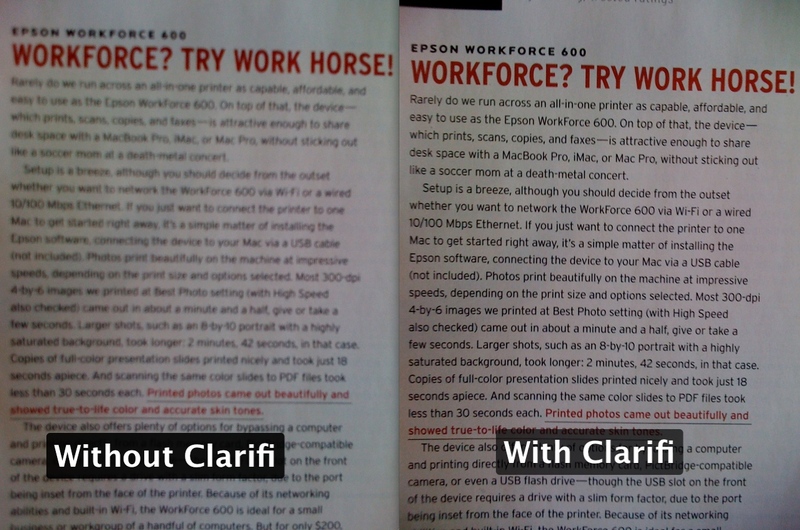 In order to really get a sense of the Clarifi one needs to look at it from two perspectives — (1) as a protective case for the iPhone and (2) as an enhancement to the camera. On both fronts it does pretty well. The Clarify is most similar in style to the Contour Flick Case I reviewed (and love) on whatsoniphone.com a few weeks ago. It’s a slick, slim case that slips over the iPhone. 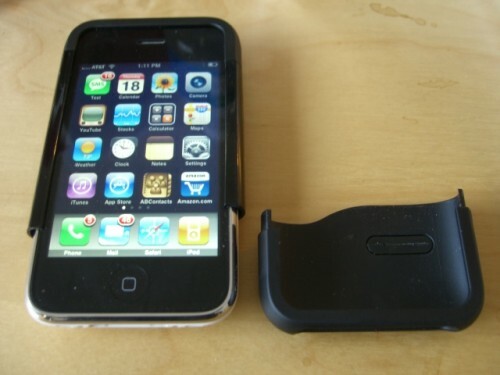 The bottom portion is easily removable so that the iPhone remains dock-able. 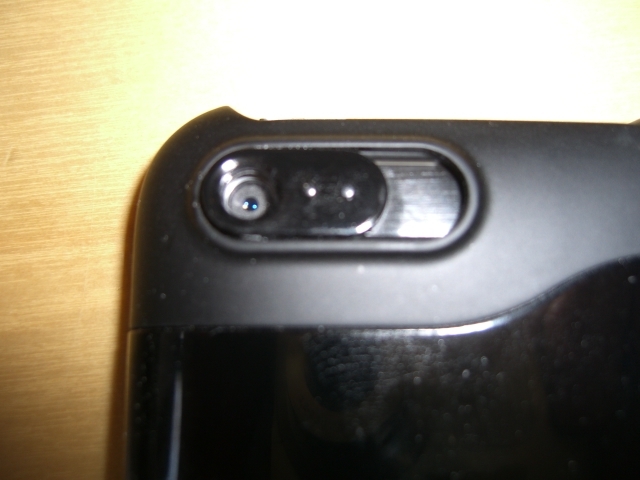 And while Clarifiy is a bit thicker than the Contour case, it doesn’t add a tremendous amount of bulk to it. There are however, two downsides. 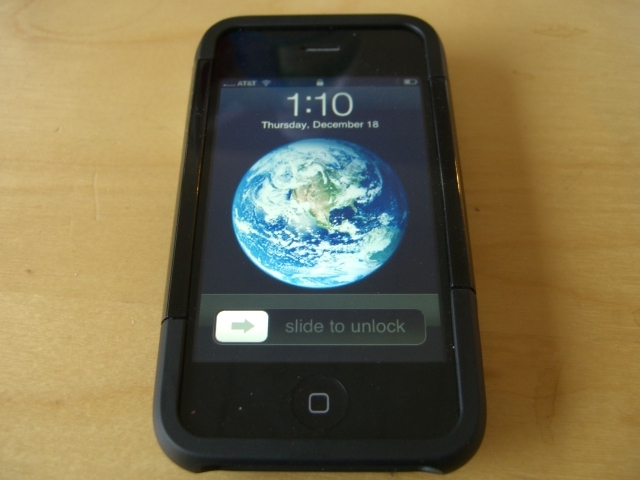 First, while in the case the iPhone’s screen is somewhat recessed. This makes it a little bit harder to manipulate the screen than normal. Second, although a screen protector is included, the case doesn’t offer any real protection beyond scratch proofing it. As a case only, it’s not bad. While there is only so much you can do with a camera like the iPhone’s the Clarifi clearly makes a noticeable difference. Best of all, since it is built into the case using it is as simple as sliding the extra lens over the iPhone’s. It is a transition that takes less than a second. I’m really impressed with this case and recommend it to anyone who uses the iPhone’s built-in camera to take close-ups of text. The special lens makes a real difference. The Clarifi retails for $34.99. For more information or to order it directly from Griffin you can visit the website HERE.